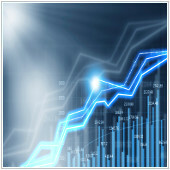 Many businesses pay between USD $100 thousand and $1 million for their business intelligence (BI) system. And yet a lot of corporate data isn’t accessed by BI users which raises the question: How important is BI to your business? The simple answer is that it is very important. From analytics to complex event processing and benchmarking, if used efficiently BI can play a major part in the success of your company. With that in mind, it is time you squeeze every last drop of value out of your BI platform to help push your business towards the finish line.